While the snow may have begun to fall in the state, it’s not too early to start planning a golf exploration in Michigan for the summer 2019. There are a number of great resorts, regional escapes, and local fairways located throughout the Great Lakes State, and not the least of which is BOYNE Golf. BOYNE Golf provides a world-class golf destination to explore with 10 great golf courses at three resorts in northern Michigan. All-inclusive vacation packages, elite instruction at the BOYNE Golf Academy, tournaments, and events are all part of an unrivaled golf experience. Boyne Highlands Resort in Harbor Springs is a golf paradise featuring The Heather, a timeless design by Robert Trent Jones Sr.; The Donald Ross Memorial, a composite of the legendary architect’s best-designed holes; The Arthur Hills course, a sweeping, modern design with breathtaking views; and The Moor course, a classic design. The Heather was named the 2018 Golf Course of the Year by the Michigan Golf Course Association. The MGCA Course of the Year Award honors a member course that meets four criteria: exceptional quality of the course, exceptional quality of ownership and management, outstanding contribution to its community, and significant contribution to the game. The Heather spans approximately 7,148 yards of natural wetlands, rolling fairways, tour white sand bunkers and blueberry bogs. 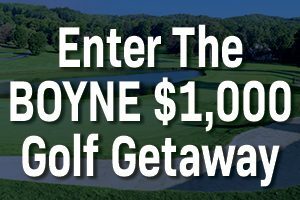 The recent award is just one of many BOYNE Golf has won over many years, and not just at Boyne Highlands. 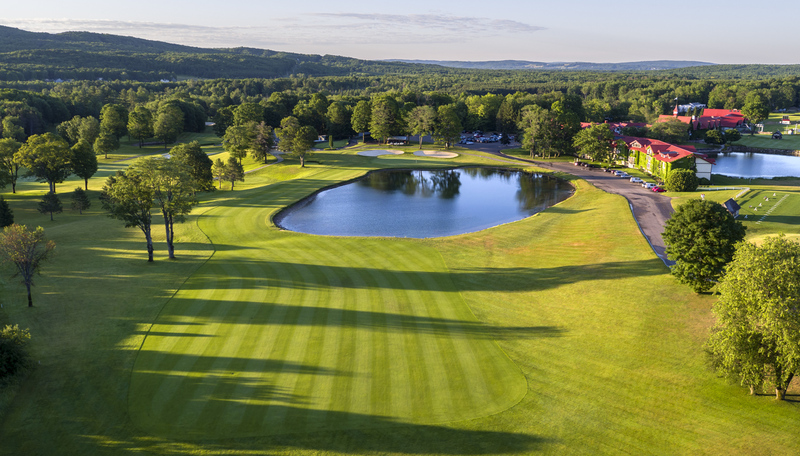 At Boyne Mountain in Boyne Falls, The Alpine course annually hosts major golf tournaments due to its popular award-winning design and challenging elements. The resort also features The Monument, which combines a testament to golfing greats and the variety of fun in the game. Both courses offer dramatic finishing holes that keep golfers talking after they complete their rounds. Bay Harbor Golf Club in Petoskey is unique among golf experiences in Michigan. There are three distinctive, nine-hole designs that make up 27 holes along the Lake Michigan shoreline. Designed by Arthur Hills, the course is not only visually stunning, but also offers a varied challenge to players. Also perched high on the bluffs above Little Traverse Bay is Crooked Tree Golf Club, which many feel offers the best golf course scenery in the Midwest, not to mention 18 great golf holes. Stay and play packages in elite lodging options are varied and fit almost any price point.